Kuzhi Paniyaram is an easy and healthy tiffin prepared with a few basic ingredients in our kitchen.Once you have decided to prepare kuzhi paniyaram for your dinner, prepare the batter and allow it to ferment for 5 to 7 hours. You can also ferment the batter overnight and you can prepare a healthy tiffin for your family during weekends. Makes an easy tiffin for your regular week night or weekend breakfast. It's spongy and slightly crispy on the outside and soft on the inside. 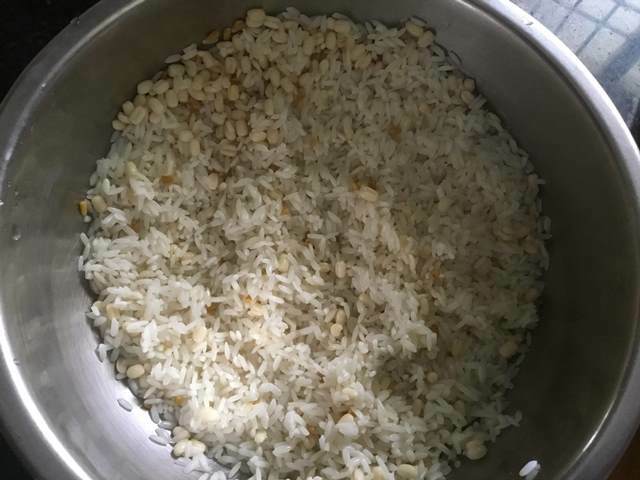 In this kuzhi paniyaram recipe, you need idly rice, raw rice, urid dal, fenugreek and other tempering ingredients. Many people prepare kuzhi paniyaram with the dosa batter, but I recommend to grind the batter separately for kuzhi paniyaram. Never skip the fenugreek because it helps to give you a soft and spongy paniyarams. 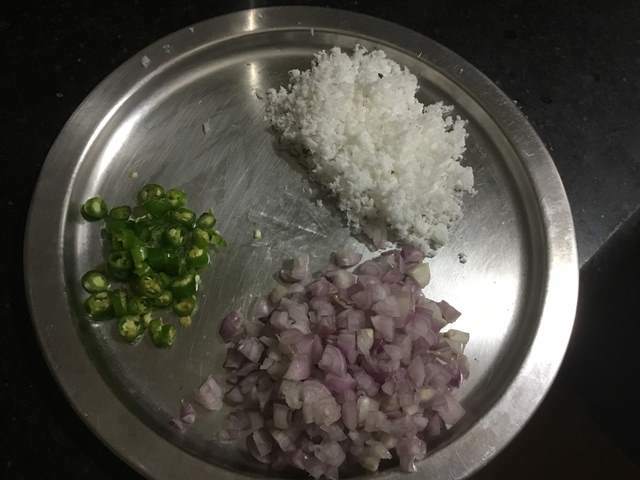 To add additional flavours I have added fresh grated coconuts, chopped onions and green chillies. For frying the kuzhi paniyaram you can use groundnut oil or gingely oil. 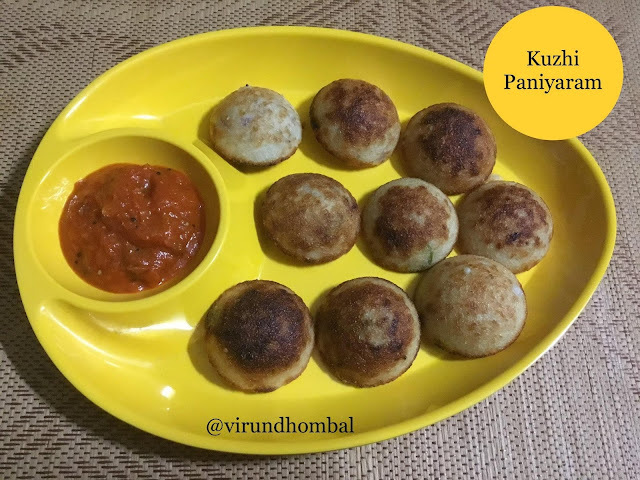 Finally, don't forget to prepare tomato chutney to serve this yummy kuzhi paniyaram. 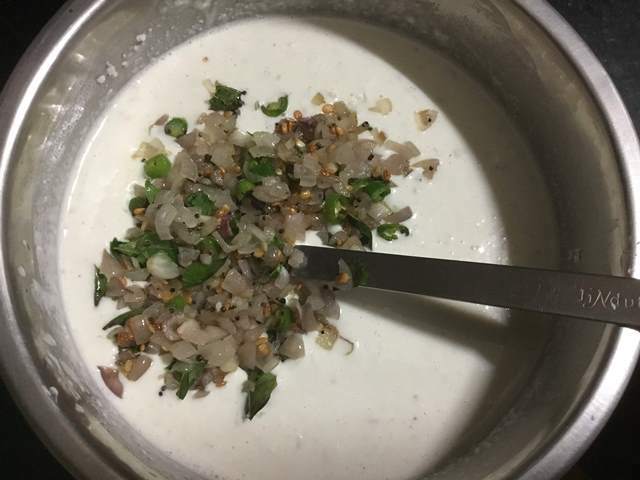 Because it's one of the best side side dish for this kuzhi paniyaram. Now we will see the recipe in detail. Combine the idly rice, raw rice, urid dal and fenugreek in a wide bowl. Rinse them well for 2 times and pour 4 to 5 cups of water. Soak it for 2 hours.After 2 hours, drain the water completely. 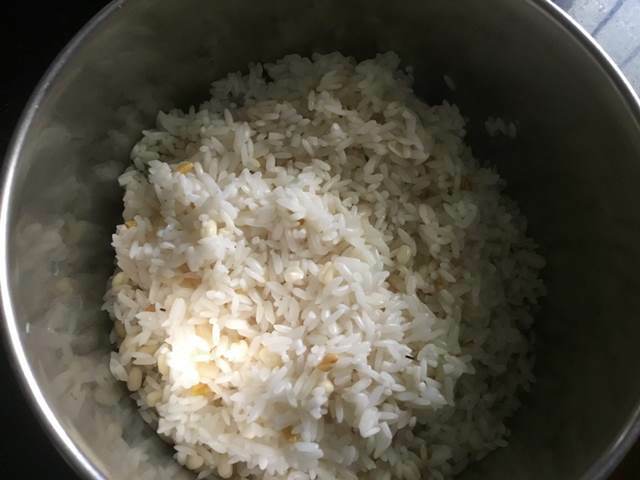 Take a big mixer jar and add the drained rice to it. Grind it with 1/2 cup of water. Scrape the sides with a spatula and add the required salt and grind it smoothly.Transfer the batter to the bowl. Close it with the lid for 5 to 7 hours. Chop the small onions and green chillies. You can also add grated carrots and chopped coriander leaves. Heat oil in a pan and add the mustard and urid dal. When it splutters add the chopped onions and green chillies. Stir and saute them well until it turns soft. Add the curry leaves and turn off the heat. 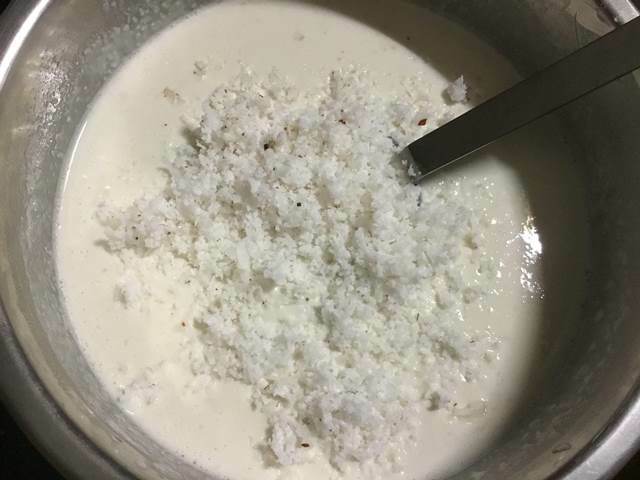 After 5 hours, mix the batter and add the grated coconut and mix it well. Next, add the sauted ingredients and mix it well. Heat the kuzhi paniyaram pan on medium heat. When the pan is heated enough, fill each mould with a teaspoon of oil. Use a tablespoon sized ladle to scoop the batter and pour into each moulds. 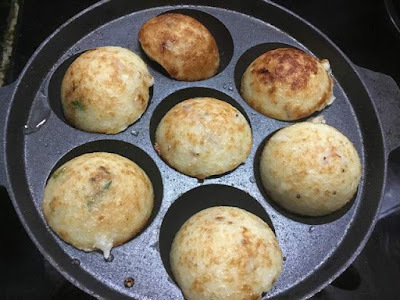 Carefully flip the paniyarams with a wooden spoon and fry until deep golden brown. Again add oil in each moulds and cook the panniyaram in batches. Combine the idly rice, raw rice, urid dal and fenugreek in a wide bowl. Rinse them well for 2 times and pour 4 to 5 cups of water. Soak it for 2 hours. After 2 hours, drain the water completely. Take a big mixer jar and add the drained rice to it. Grind it with 1/2 cup of water. If you want to double or triple the dish, use wet grinder for grinding the batter. Scrape the sides with a spatula and add the required salt and grind it smoothly. 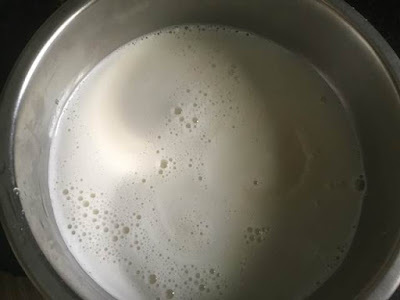 Transfer the batter to the bowl. 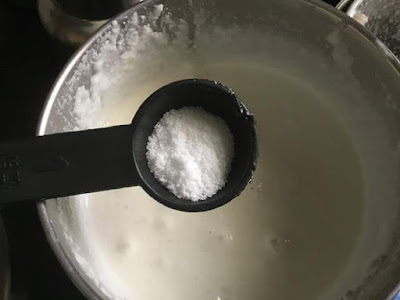 Rinse the mixer jar with 1/2 cup of water and add it to the batter and mix them well. Close it with the lid for 5 to 7 hours. After 5 hours, mix the batter and add the grated coconut and mix it well. Heat oil in a pan and add the mustard and urid dal. 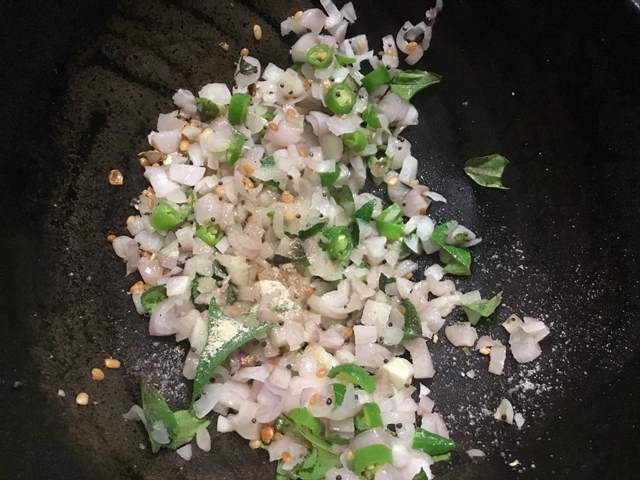 When it splutters add the chopped onions and green chillies. Stir and saute them well until it turns soft. Add the curry leaves and turn off the heat. Next, add the sauted ingredients and mix it well. Heat the kuzhi panniyaram pan on medium heat. When the pan is heated enough, fill each mould with a teaspoon of oil. Use a tablespoon sized ladle to scoop the batter and pour into each moulds. Carefully flip the paniyarams with a wooden spoon and fry until deep golden brown. 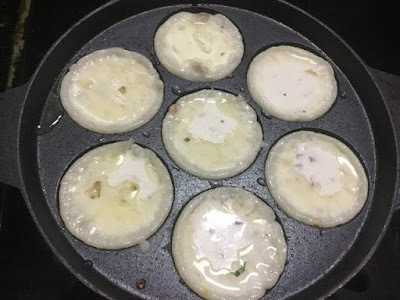 Again add oil in each moulds and cook the paniyaram in batches. Transfer the paniyarams to the serving plate and serve it with tomato chutney.